Curating content can be like finding a needle in a haystack, if not a stem or leaf in a haystack. Fortunately, there are many software tools to help content marketers discover good articles and videos to share. Curation is a type of content marketing. It seeks to attract, engage, and retain customers for your business. It pulls them to your company. And it can work well with your search engine optimization, email marketing, and social media efforts. Curation works on the same principles as other forms of content marketing. Your business provides content that is useful, informative, and entertaining. Consumers (your audience) read, watch, or listen to that content. In the process, the audience begins to recognize your business as an authority on the topic, and they may feel indebted to your company for all of the content it shares. That sense of owing something (reciprocity) can lead to sales. The first step in successful content curation is identifying compelling content from third parties — articles, blog posts, videos, or similar. The content should be related to the industry your business serves (and your topic clusters). Strive for rare content that is not already shared on thousands of social media profiles or in dozens of email newsletters. In this post, I’ll address several applications that can help you find that content. 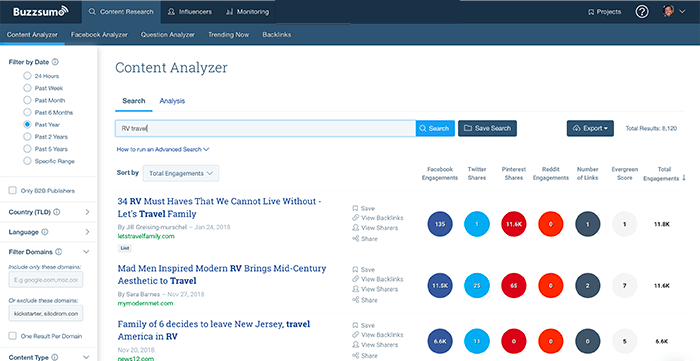 Buzzsumo may be the best known and most popular content discovery software. Its free plan has two tools that can help. No matter your topic, Buzzsumo will likely find compelling content. Remember, the most popular content is not always the best to share, since it may be available from many sources. Click image to enlarge. 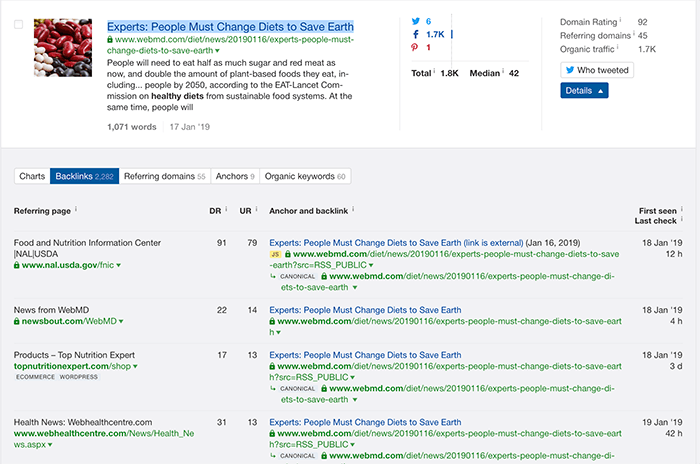 Use a filter in Buzzsumo to look for things published in the past year, exclude list articles and infographics, and exclude items from competitors. Second, consider Buzzsumo’s trending tool. This shows the most popular content currently trending for a topic. There are a few alternatives to Buzzsumo, such as ContentGems. Several leading SEO platforms, including Ahrefs and SEMrush, offer content discovery. And why not? Those platforms already scour the internet to provide SEO insights. While they are at it, it is pretty easy to help you discover helpful content. In Ahrefs, the tool is called “Content Explorer.” To understand it, imagine you have an online store selling exercise equipment. Assume one of your topic clusters is “healthy diet.” You are already creating a “healthy diet” post every other week for your store’s blog, and you include at least one “healthy diet” item in your weekly newsletter. 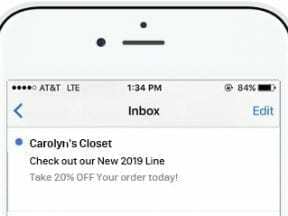 But you want the option to occasionally include curated content in the newsletter and share “healthy diet” posts in a couple of Facebook Groups. 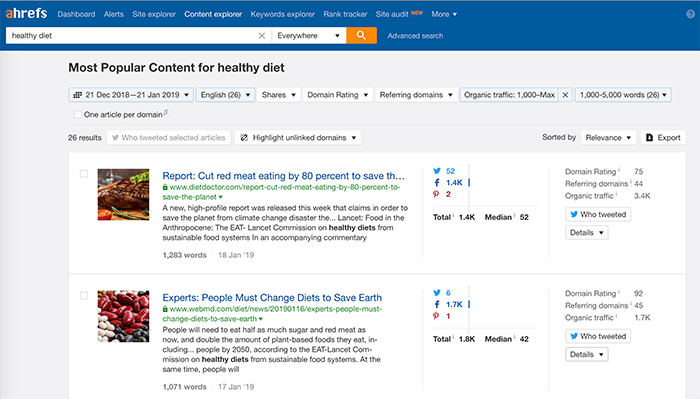 In Ahrefs’ Content Explorer, you can search for “healthy diet,” filtering for publication date, language, word count, and popularity. At the time of writing, the tool returned 26 results for English-language content between 1,000 and 5,000 words and more than 1,000 visits in the past month. Ahrefs helps you find some of the most visited and shared content for a topic. Click image to enlarge. Each of these results could be a good candidate for curation. You can dig further. Ahrefs also offers “details” about each. One of the detail reports is backlinks. It shows you all of the sites (articles) that link to a particular result. Often many of these sites are worth considering, too. The backlinks detail in Ahrefs can lead you to even more good content. Click image to enlarge. SEMrush’s “Content Marketing Toolkit” is aimed at discovering topics that could attract customers. But it can also be used to find content worth sharing. 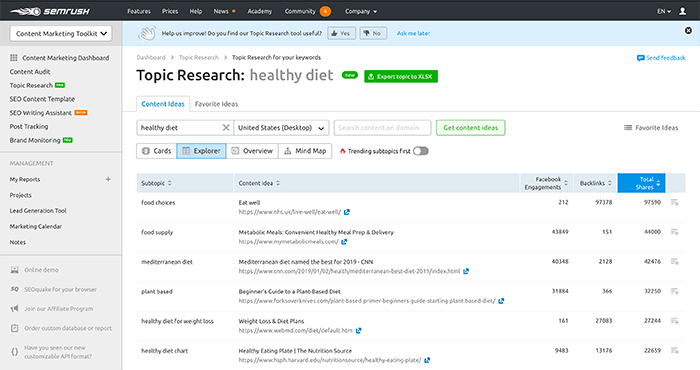 For example, using the Content Marketing Toolkit’s topic research tool, we can search for “healthy diet,” filtering for the United States. The results can be viewed in several ways, including an interesting mind map. But for content curation, the “Explorer” view may be best. It shows a list of the most popular content for your topic and its likely subtopics. SEMrush’s topic research tool is mainly for discovering content creation ideas. But each idea suggestion comes with an example of the best content on the topic. Click image to enlarge. Ahrefs, SEMrush, and other SEO tools can be good options for content discovery. Feedly is a popular RSS reader that also helps you find excellent sources for content. 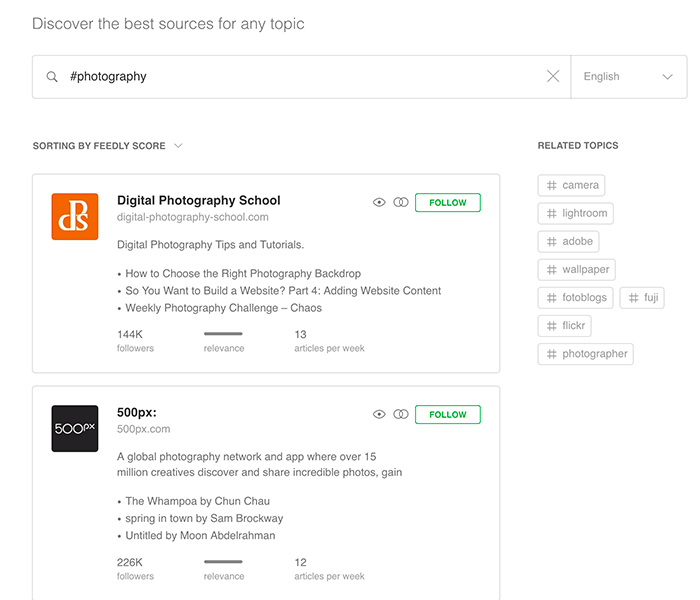 As with the other tools described in this article, Feedly allows you to search on a topic. 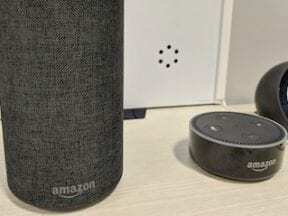 But instead of returning a list of popular content, it provides a list of sources. These sources might be popular websites or established, expert bloggers. If you had an online store selling photography equipment, for example, you might want to find interesting photography sources. Feedly would suggest following sites such as Digital Photography School, 500px.com, and The Big Picture blog at The Boston Globe. Feedly will help find good sources for content and then show you that source’s articles or videos as a feed. Click image to enlarge. With Feedly, you can also add RSS feeds from just about any site you want to follow. Thus if you found a helpful article using Buzzsumo or Ahrefs, you could follow that publisher with Feedly. Similar RSS tools include NewsBlur, Inoreader, and Bloglovin’.